Rin Johnson is a sculptor and poet. Johnson has shown sculptures in many cities and read poems in a few too. 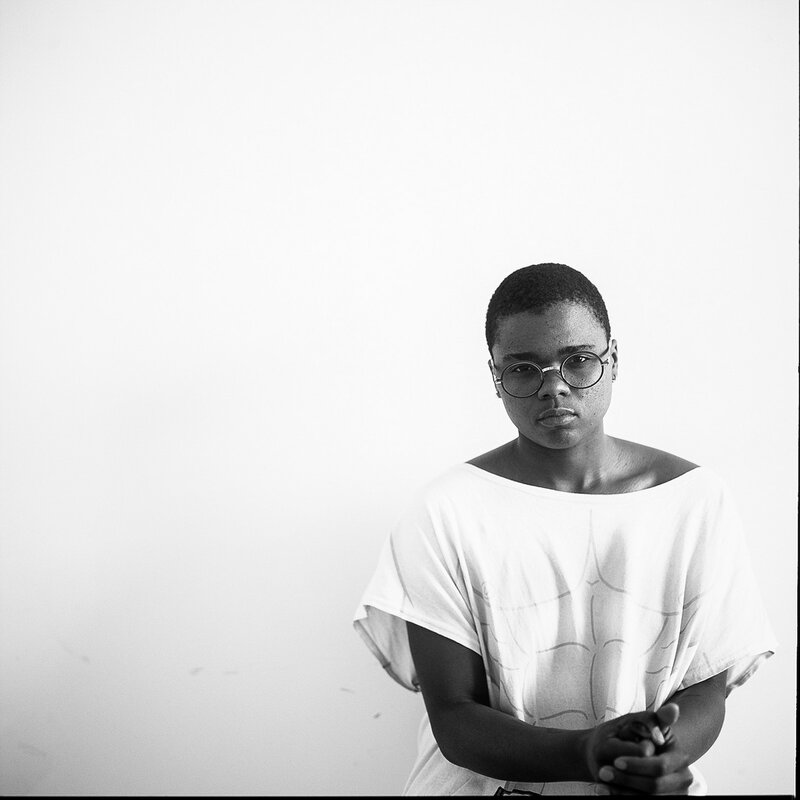 Johnson is the author of two chapbooks, “Nobody Sleeps Better Than White People” from Inpatient Press and the forthcoming “Meet in the Corner” from Publishing House. Johnson lives in Brooklyn. I use poetry as just another way to digest all the things that are happening around me and to me. In what ways does your poetry and visual art intersect? It’s hard to say because I feel like I’m working constantly across so many mediums. I have terrible ADD so if something is drying, or rendering or just not working I’ll pick something else up to keep me busy until it’s time to return to the drying or rendering or not working thing. I can say though that at first my poetry and my visual work didn’t intersect at all; I was just writing poems to synthesize the things I was hearing or reading. Once I spent some time with these things I realized that they sounded a lot like poems, so I started to call them poems. I also realized that often these poem sounding things had a corresponding photograph. I liked this parallel because when I first started writing poetry it really did feel quite instant and photographic: I’d hear something and boom! it’d become a poem. Now my video work has started to fold into my poetry and at this point poetry is just another medium in my practice. I was first introduced to your work through your poetry on Lambda Literary’s Poetry Spotlight. Your poetry has the balance of expressing a beautiful vulnerability yet also being very pointed. When you write, is there any particular audience you aim for? I don’t really have anybody in mind for my poems. In the same way that sometimes I think I’m making visual work as a reaction to living, I use poetry as just another way to digest all the things that are happening around me and to me. Linguistically, reading the news is hard so if I can get a poem out that digests the news for me, I can step away and not chew on the news for a moment. I write poems a lot from what I hear or read and if the cadence of that amalgamation doesn’t vibe with me, I generally toss the poem out, or scrap it for parts. Your chapbook Nobody Sleeps Better Than White People, featuring both your photography and poetry, is now available for purchase through Inpatient Press. What was the greatest challenge you faced while writing your chap? I don’t want to sound flippant but Nobody Sleeps was actually really fun to write and I was super stoked about it the whole time. I bet part of why I didn’t feel any pressure was that when I was writing the poems I was not thinking about trying to tie them together in any sort of group. I was in full production mode and swimming in all these new poems and photographs. Michael of Inpatient has a really casual and relaxed editing style and when we first talked about working together we didn’t set a specific deadline. As we were putting things together and Nobody Sleeps really started to wrap itself up, my dear friend Diana Hamilton curated a reading with me and two of my favorite writers Jameson Fitzpatrick and Conor Messinger, and Michael just messaged me being like “let’s finish Nobody by your reading?” and I was just like: “YES.” I think that spontaneity made the whole process feel really awesome and for lack of a better word, organic. On top of this relaxation vibe most of Michael’s edits just made things flow really nicely; generally, I was ecstatic and it was a pleasure. At what age did you start exploring photography? I had a lot of trouble making sense when I was a kid and my mom really encouraged me to use photography as a way to translate my thoughts and ideas into words. I’ve been photographing since about 4 or so and I’m still totally obsessed with it as a medium, my love for photography is boundless, but like with any relationship sometimes we get into fights, sometimes we misunderstand each other: it’s a process, we’re evolving together, we’ve been evolving together. Do you consider photography empowering to you on a personal level, as well as professional? I guess since I was literally using it to talk as a little kid I definitely did at one point find photography quite empowering but frankly after years of using photography as my primary medium I definitely don’t find photography as a medium particularly empowering. In a lot of ways it has gone from my voice to just another tool in my visual practice. For the last few years my photographic work has really been focused on making works that resist documentation and I totally avoid any sort of “photo-gigs”, as you can tell by the way I talk about photography, my relationship to it is frankly sentimental and kind of weird. When looking at your numerous exhibitions, which one stands out to you the most as representative of your work? It’s funny I haven’t shown my visual work in a little bit, I’ve been way more focused on poetry and writing but looking back I really loved showing at Date Night which is a one night only exhibition/happening that Elliott Brown Jr. lovingly curates. The Date Night I was in was in my apartment last winter and considering how much of my work deals with intimacy that was both relaxing and exciting. Elliott has very good taste and the people that he surrounds himself with are absolutely wonderful so having all these beautiful geniuses come to my house to talk about their art and mine was pretty fantastic. I felt and feel very spoiled at Date Night. Describe yourself if you were a city. I wish that I had one city that was “me-like” but because I studied Urban Planning in Undergrad I have all these weird feelings about cities and how they function as social spaces, so it’s kind of fun to think of the possibility of me as a social space. All this to say if I was a city, I hope that I’d have a lot of Zaha Hadid buildings inside of me. Is there a correlation between eyelashes and basketball nets? Are there double entendres in basketball? In football? What’s the difference between black and blue? Is the artist a low-key pharmacist?